Brynne moved to Vail, Colorado in the fall of 2012 to pursue a marketing career in on-mountain special event coordination. While interning for the Vail Valley Foundation, Brynne worked for the Vail Ski School. Coaching kids and teens in the artistry of Alpine Skiing sparked a new passion in Brynne. She chose to follow this new found love for a total of 6 seasons, across 2 continents, and 3 resorts. During this time, she achieved her Alpine Instructors Certification, levels I and II, as well as her Freestyle Specialist Certification, level I, from the leading snow sports organization, the Professional Ski Instructors of America. Some highlights of Brynne’s career in the snow sports industry include her selection as a coach for Lindsey Vonn’s groundbreaking female empowerment division at the Vail and Breckenridge Ski Schools, and as a coach for the Breckenridge All-Mountain Youth Ski Team. 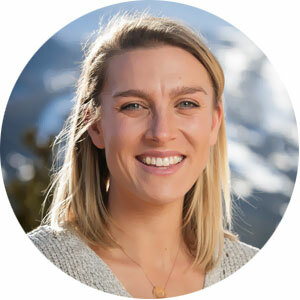 From her experience teaching kids the fundamentals of skiing, and life, Brynne has now channeled her passion for empowerment towards achieving her Masters degree in Clinical Counseling through Adam’s State University, a southern Colorado-based school. She plans to incorporate her love of the outdoors, sports, and fitness into her therapeutic approach to help all local Summit County residents in accomplishing their life goals. Brynne began working for Cornerstone Real Estate in August 2017, after a year abroad in Fiji, New Zealand, and Indonesia. She feels incredibly fortunate to have the opportunity to work as Cornerstone’s Marketing Specialist, providing the type of creative efforts she originally moved out to Colorado to pursue, while simultaneously studying for her Masters. Brynne will begin interning part-time for a local mental health clinic in January, 2019. Brynne is tremendously thankful to Todd and Barb Rankin for their amazing support. She truly feels fortunate to have such a great position working with a fantastic group of people. Most importantly though, she is inspired by the Rankin’s immense generosity in their support of local non-profit organizations. One day, Brynne hopes to mirror their commitment to the betterment of the community that is the life blood of this mountain paradise. I am the Marketing Specialist for the Cornerstone family - which includes our client’s! I support each realtor in the selling and marketing of their client’s properties by ensuring quality photography and artwork are appropriately and effectively disseminated across all of our print and online marketing outlets. As the Cornerstone families Marketing Specialist, I also work for you, the client! My aim is to showcase your beloved home as you see it at it’s best. This includes working with you to highlight your favorite features and details of the property, that can go unseen at first sight, and illustrate them for potential buyers. My favorite aspect of what I do is accentuating the individuality of each home through eye-catching photographs and vivid descriptions in order to captivate the right audience and pull at their heart strings. When you work with Cornerstone, you are like family to us, so never hesitate to reach out for anything. Whether it’s a question about your listing or simply some local knowhow - we are here for you!